stack of men and women, some carrying tools and joined by arms and legs. The man sits on the head of a full length women who also is intertwined with the smaller figures. This type of ebony carving is made by the Makonde people and represents the ujamaa, or unity, of a group. The uppermost figure is usually a mother or a maternal uncle, reflecting the importance of matrilineal tradition to the Makonde people. community. 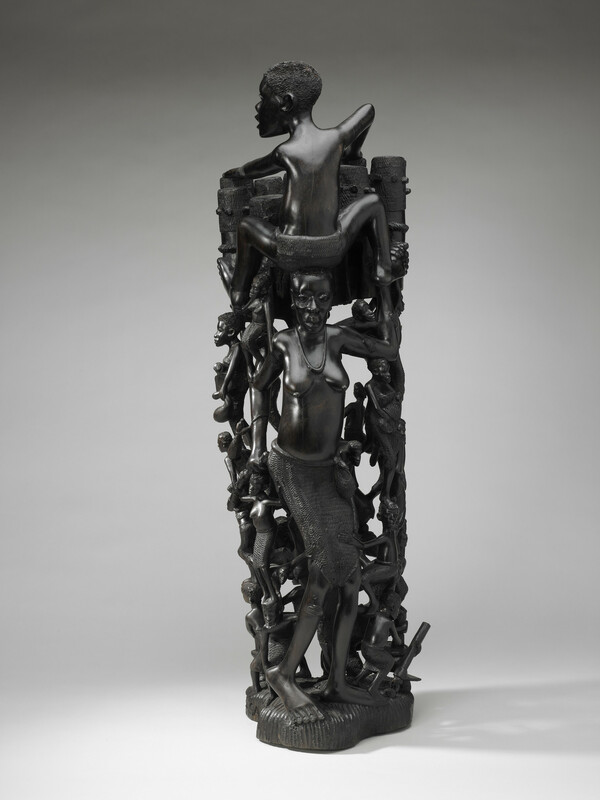 The tall, elaborate sculptures often culminate in the figure of the mother or maternal uncle in reference to matrilineal tradition.